Orange County mobile Game Truck Theater Rental Service by Rolling Video Games. 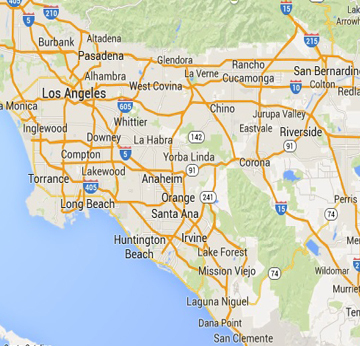 We Cover all of Orange county. Independently operated, Rolling Video Games Orange County takes pride in being a premier children's entertainment company. We look at the big picture - we know your event is the most important thing to you that day. The last thing you need to worry about is your entertainment. We take great pride in our service and we do everything we can to make sure your event goes off without a hitch. Our reputation is built on caring about our customers, understanding your needs and providing quality, clean, prompt service. We are the best at what we do. ​The professionally trained Game Coach accompanies every event with the Rolling Video Games mobile video game theater game truck. ​His job is to instruct, tutor and inspire your guests to have the most fun possible with our state-of-the-art equipment. Younger guests may receive lessons with the game movements and wireless controllers. Teen guests might be shown tricks of the trade and game strategy and act as a 'big brother'. ​ Adult guests will be inspired with group gaming, explaining basics and making sure their event is the best experience we can offer! Tell your Game Coach how to make it great! Our game truck is the best rolling trailer in town! Our mission is to provide the best service at the best price to all of our customers. Our theater is cleaned and sanitized after each party. We listen closely to parents' concerns regarding their feelings about age appropriate games for their child and his/her guests. Our game referees and coaches are polite and patient with kids. We know how important it is for you and your guests to have fun at your party and our trained game coaches interact with your guests to make sure that everyone in the theater has a great time! Game truck birthday is perfect for everything from Birthday Parties to School Events, Church Festivals, Charity Events and Fund-Raisers. You'll also find us at Business Expos and Family Reunions, Holiday Events like Parades and City Celebrations as well as Athletic Events from the YMCA to AAU Leagues. We are community minded and regularly perform work for various charities and other worthwhile causes, so please don’t hesitate to contact us about your event.